Quite riveting. Recommended for fans of The Hunger Games. The two books are not the same -- but both follow strong young women who know how to fight really amazingly. They both have a bit of romance. I would say The Hunger Games (which you should read if you have not yet read it, and the sequel comes out in a month!) has more violence and less romance than Graceling. They still both have both, of course. Graceling just has fewer horrific violent descriptions, and instead has some non-explicit love scenes. But these are books for teens and up, not for middle graders. I really enjoyed the premise. 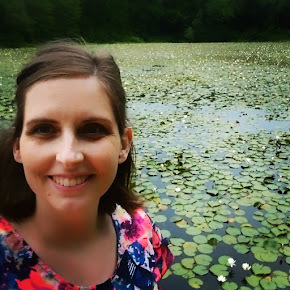 The "Graced" are those who have special capacities for, well, anything. Easily identified by the fact that their eyes are not both the same color, most of them end up in the service of their king. Katsa is one of these, and she is Graced with killing. She is rapidly becoming someone she despises, because of her skill, and needs to figure out what to do with herself. One thing I thought was quite fun is that I couldn't pick out the romantic lead right away. You know, you can usually spot them from a mile away. But this time it wasn't obvious. There were several choices! I bounced around a little bit, enjoying the wondering, before we settled into our love story. Anyway, the sequel to this one, Fire, will be coming out in October. I'm looking forward to it. Two thumbs up, and all that! Oh, also, Graceling has won all kinds of awards. *Special note in RE: #2. on Enna Isilee's review: I can see where you're coming from. The epilogue was a little bit "let me explain"-y. I think it all stems from Katsa's worldview though, and I don't think we can expect that to change except over a matter of years. I'd like to reference Enna Isilee's REF#2 as well. 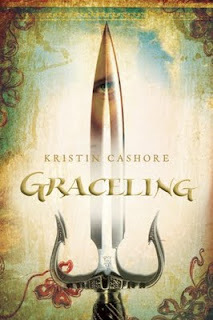 The premise and plotline of graceling was imaginitive and exciting. I love the mythology behind being Graced. However, I felt that the epilogue did not stay true to the character. Not necessarily that Katsa moral belief subject topic but more because throughout the entire book Katsa is trying to find herself and learning what her convictions were. When suddenly in the epilogue she has a determined stance without a natural course of self descovery on that particular topic. Perhaps a little more character development would have eased the transition into such a determined frame of mind. Who knows maybe its just a set up for the sequel to change Katsa's train of thought. Still a fun read, for a more mature audience.